MJ Boudreaux is feeling like the sparks are missing in her marriage. When her husband appears late to their twenty-anniversary dinner, she knows she must do something to improve their relationship. Since her husband Chris enjoys playing poker, she decides she can join him at the tables and learn it herself. This could be something they could share together. To her surprise, she finds out she is good at it and little by little she starts spending more time at the casino. To make matters worse, her husband is hiding something involving her college nemesis. MJ doesn't know what it is but she starts having doubts about how faithful Chris really is. When she wins a trip to Las Vegas, she decides to go and here she runs into interesting characters including the current poker champion who makes it very clear he wants more from her if she is willing. MJ must make a serious decision of what to do next. Try to fix her marriage or move forward with someone new. 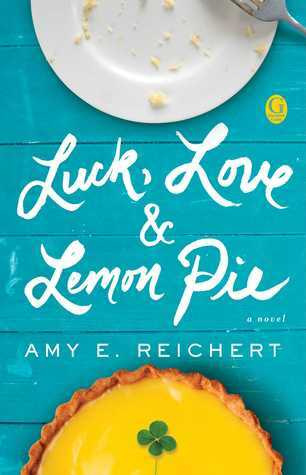 I loved The Coincidence of Coconut Cake and I was looking forward to reading Luck, Love & Lemon Pie. It's hard for me to say it but I didn't love it. I had some issues clicking with both main characters. The writing was smooth but there just wasn't enough romance in it. MJ was frustrated with her marriage and at first, it felt like she was on the brink of giving it up until she believes her husband might be interested in someone else. For his part, I never felt like I got to know Chris well. I do know Chris had as much blame as MJ for things not working right in their relationship. The lack of communication was their downfall. I don't agree with the way things were handled after MJ came back from her Vegas trip. In my opinion, they needed marriage counseling to fix what was missing.